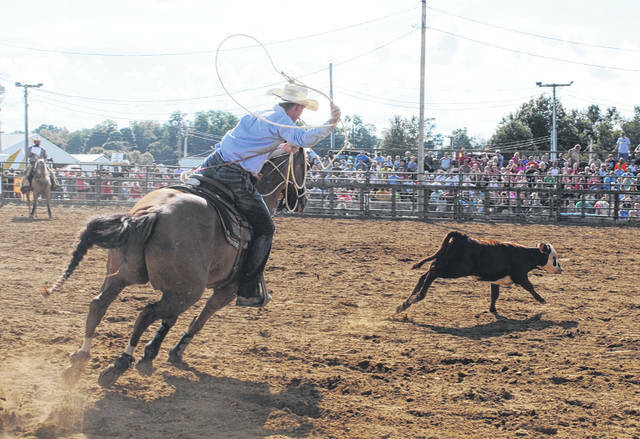 This cowboy winds up to rope a calf during the rodeo at the Highland County Fair Sunday afternoon. 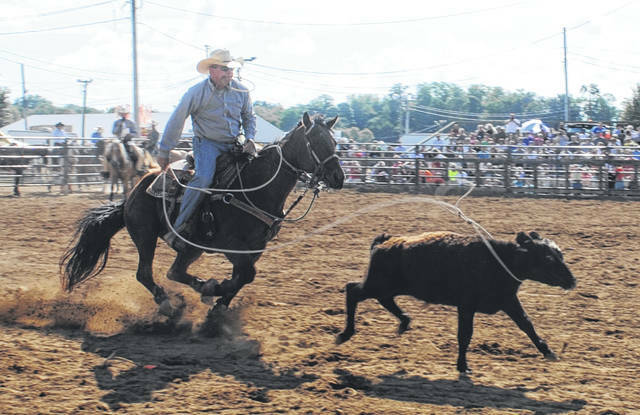 A cowboy whips his lariat taught after lassoing a calf at the rodeo Sunday. 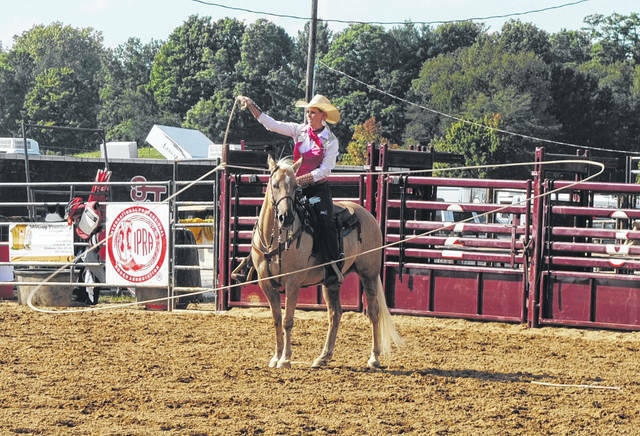 “Cowgirl Lindsey,” a rodeo entertainer, enthralls the crowd at the Highland County Fair on Sunday by spinning a 50-foot lariat around her and her horse. 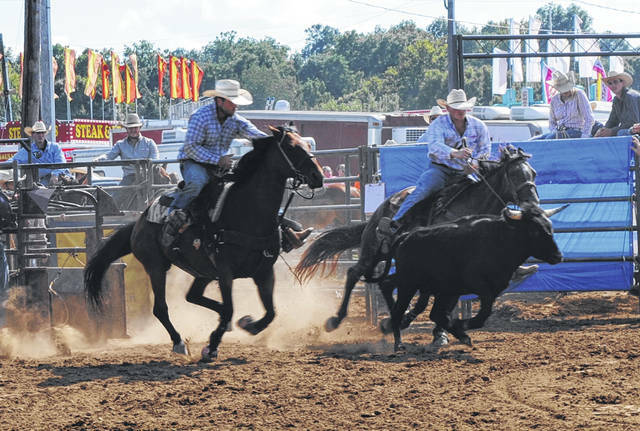 Two cowboys and a steer burst through the gate in a cloud of dust Sunday afternoon at the fair. One hopes to leap onto the animal’s neck and wrestle it to the ground, all while riding at top speed. 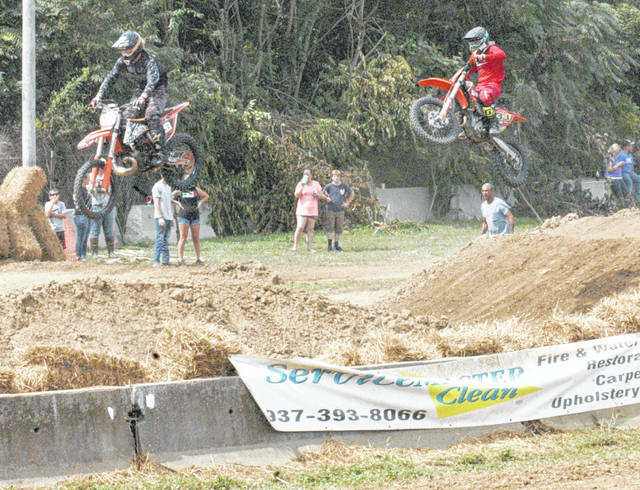 Competitors soar across a jump during motocross races Saturday at the Highland County Fair. 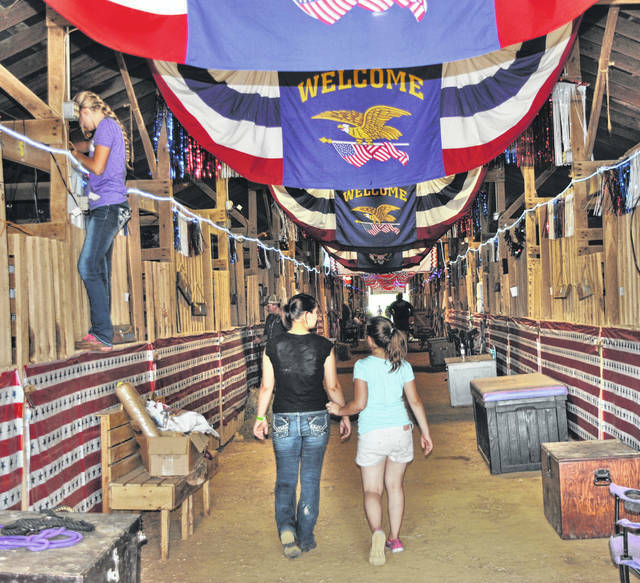 Sisters Brenna Luckett and Summer Holland of Hillsboro stroll through the horse barn at the fair. 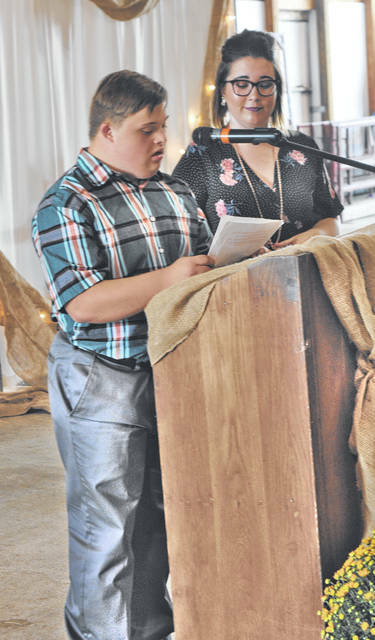 Nathan Frazer gives a speech during the king contest Saturday afternoon at the fair. 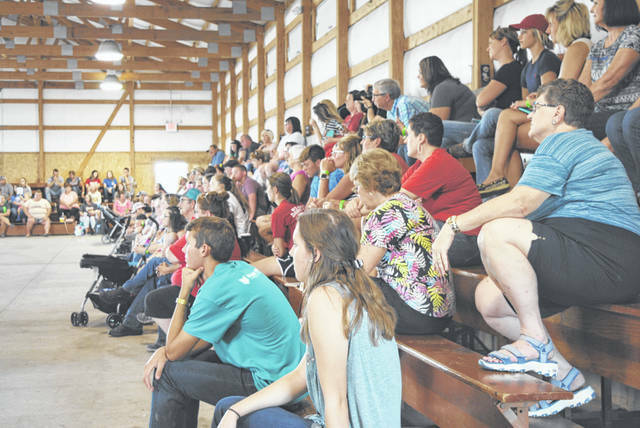 A large crowd watched the queen and king contests in the Multipurpose Building on Saturday at the 58th annual Highland County Fair. 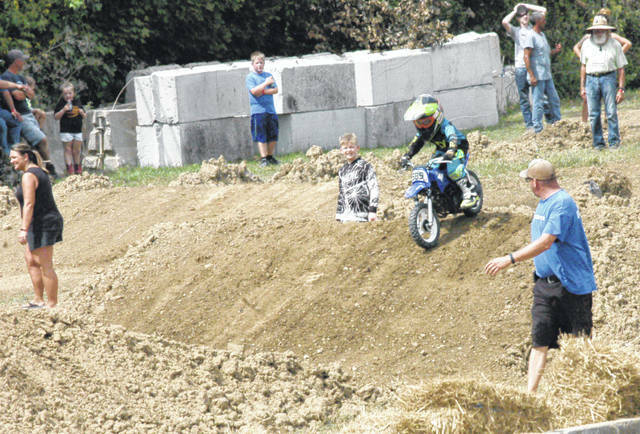 A youngster competes Saturday during motocross races at the 2018 Highland County Fair.